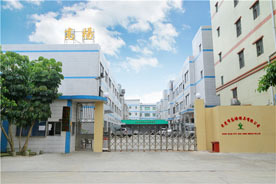 The company is located in the town of Changan,Guangdong Province,mold manufacturing city of Dongguan town. The company covers an area of 8000 square meters,more than 200 employees. The company has in 2007 passed the ISO:9001:2008 version international quality system certification. mold manufacturing,injection molding parts machining and manufacturing and two processing services.We through the early stages of early intervention of the customer's product design and development stage actively to form its unique mode of operation. Our mission：customer success,is committed to customer satisfaction and success. Enterprise vision：become the high quality mold manufacturing suppliers.